The experience of Julius and the magic of Isis result in JULISIS. The Egyptian goddess Isis was believed to be the most powerful magician in the universe. Isis, the «Lady of Life», is often depicted holding the Ankh, the symbol of eternal life. Gifted with the ability to cure mind, body and spirit, she is the mighty healer. Isis is further known as the Divine Physician and considered the patron saint of the alchemists. Julius Eulberg has been an entrepreneur in the cosme­tic and fragrance industry since 1989. His work and expertise focus on the de­velopment, production and distribution of pure organic skin care products and fragrances. In 1991 he in­vented 'OK-Tissues', a patented system of aroma­therapeutic towelettes. 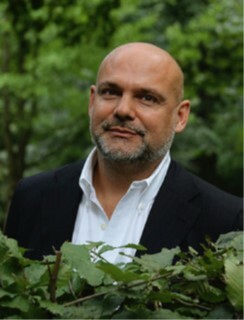 He created a number of products for Comme des Garçons Parfums, Kirna Zabete fragrances (www.kirnazabete.com) and Sphatika International, a SPA concept employing quartz crystal elixirs. (www.sphatika.com) In 1998 he designed and created Jules & Jane (www.julesandjane.com), a symbiosis between Western knowledge and Indian Ayurveda.